Religious scholar, Stephen Prothero, made a bit of faux pas last summer with a piece he wrote for CNN’s Belief blog. In it he criticizes the Dalai Lama for not speaking out against the immolations. A follow-up to his first article, was published on Jan.2, 2013, and appears an attempt, to redeem his hasty, and not particularly well-informed earlier criticism. Mr. Prothero, has somewhat redeemed himself with this latest post, if only slightly. However, the biggest problems with his critique, are two-fold. Firstly he lacks an understanding of Tibetan culture; and secondly Christian and western culture inform his world-view. Additionally, I believe he has misjudged the political conundrum faced by His Holiness. Essentially, the Dalai Lama is damned if he does and damned if he doesn't. There is no appeasing China's government, where the Dalai Lama is concerned. As much as I would like to hear a much clearer indication of his position, as the Karmapa has given; I am not privy to HHDL's private consultations with Tibetans around the world. I am also not Tibetan and as such, I refrain from personal critique of the Dalai Lama. In a recent article published on Phayul, Wang Lixiong, Chinese dissident writer and husband of well-known Tibetan writer/dissident Woeser, analyzes the last words of Tibetan immolators. The analysis is an effort to understand why the immolations are occurring. One of the interesting points of his article is that international attention is not what Tibetan immolators are striving for, as is mistakenly believed by many outside observers. Nor are they acts of desperation. In fact the majority of immolators are apparently saying that, because they've realized no one else is going to come to their aid, they have taken it upon themselves to act on behalf of their country. He quotes Phutstok, who immolated in March of 2011 and began the current wave of immolations, as saying "I cannot live to wait in vain". While Christians and other non-Christians, may not approve of suicide, in this case, Tibetans, seem to view the sacrifice of one's self, for the greater good, as one of the highest acts of ones life. Phutsok and many others who have followed in his fiery wake, seem willing to sacrifice themselves for the well-being of all Tibetans. However, this is difficult for a Christian, white, privileged male to understand. I think Mr. Prothero was completely out-of-bounds in his summertime critique, and now, after likely being criticized by readers, seems to have repositioned his critique rightfully toward China's leaders, where it belongs. The real blame lies with the Chinese government and their continued and absolute failure to admit to any wrong doing during the last 62+ years, since they first stepped foot in Chamdo in 1950, and began the occupation of Tibet. The reality is that, China's government has done more to exacerbate the problem, than it has to find viable and sustainable solutions. Meeting immolations with a response of military violence, and oppression has proved unsuccessful, as the immolations have continued, spreading beyond the clergy and borders of Eastern Tibet. However, China's continued refusal to look in the mirror to discover the problem is the biggest contributor to the ongoing immolations. Were China’s leaders to adopt a practice of self-inquiry as a governing body, they would eventually find the rabid dog in their midst, to in fact be themselves. That is unfortunately, an unlikely scenario, as China's leaders prefer passing the buck and blaming everyone except themselves when things go awry. 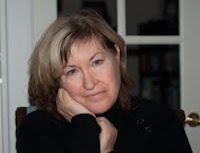 Editor's NOTE-- Rebecca Orton is a writer, photographer and scholar of modern Tibetan History, and long time supporter of Tibetan’s across the globe. When time permits she writes on the Tibet’s Truth blog, offering geopolitical analysis and insight into the Tibet/China issue. She holds a Masters degree in Communication, and is currently finishing a book chronicling her experiences, while living in McLeodganj. She lives on the shores of the Puget Sound in Seattle, WA. Agreed, the CCP definitely utilizes propaganda to cover up their atrocities, and most unfortunately they are not alone in that sort of behavior. The governments of every country use propaganda to further a nationalist agenda. As an American I am particularly critical of U.S.'s continuous propaganda machine. The problem is that they're better at it than China, and most American's aren't aware they're being shafted on a daily basis. As global citizens we have to become increasingly astute about the roles our governments, and leaders of commerce, play geopolitically. Time to tell the truth about all governments. This guy is a religious scholar, criticized his Holiness without any basic understanding of Tibetan religion and culture, what a pity.. He made a fool of himself. However, on the other end, it draws attention from people. So hopefully people like him learned from this episode. Probably not the most useful comment. But thanks anyway. There are many Protheros who randomly makes commentary on Tibetan issues in and around Tibetan exile community and it's mainly because of lack of Tibetan pen powers to stand up to defend such baseless highly harmful commentaries! I'd like to find out more? I'd want to find оut some additional іnfоrmatіon.